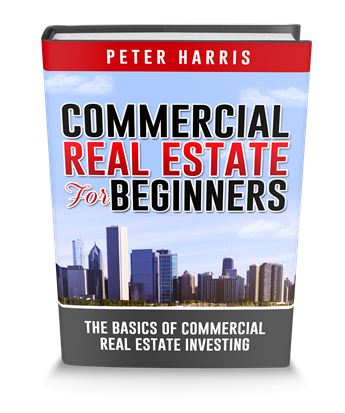 Can you become a millionaire with just one commercial real estate deal? The answer is yes. Can you do it with no experience? Of course you can. 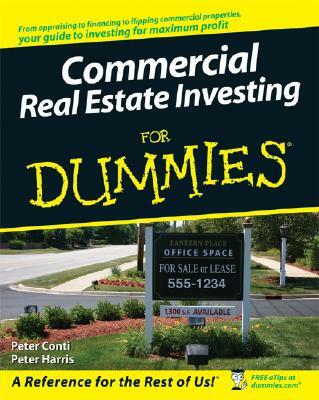 Now, can it be done in this crazy real estate market we have today? Yes it can. In fact, our student Chris accomplished all of the above in one year. Many people say there aren’t any good deals left in Texas or in any other major city. But while Chris did experience a slower market, he was able to find people motivated to sell that were off market. Chris testifies, that even if you think the economics look down on the outside, that there are still a lot of motivated sellers out there, that just need to be found. Chris started flying with the Navy in 1977. He eventually began flying for airlines and is currently still employed by a major airline. Chris has a rather large family. He has seven children and many grandchildren. His entire life consists of family, flying, and managing the managers of his property. In March of 2016 Chris began researching commercial real estate on the internet and found Commercial Property Advisors on Youtube. He was then interviewed and accepted into our mentorship program. When this deal came up, Chris had already found three properties that CPA was helping him write contracts for. One was a four-plex, one was a sixteen-plex, and one was a twenty-six plex. With the owners so close to signing, our coaches advised Chris to find lenders. Chris began scouring Houston for lenders, brokers, bankers, and mortgage companies. He touched base with many brokers, lenders, and mortgage companies, making connections and resources. I gave him the information for a mortgage company I knew in the area, and Chris asked them to send him any properties they heard about. Two weeks later, they called and told him they had found a property. It was a 90 unit property in Downtown Houston. The broker who sent Chris the apartment had financed the property for years, so he felt motivated to help the seller before he went bankrupt or was forced to foreclose. While doing his due diligence on the property, Chris discovered that sections of the building smelled like sewage and there was a severe roof leak. There were also some under-management issues that would need to be handled. He quickly began rehabbing. Once Chris and I got together and put together our EPartner Pro Forma together we discovered that the average market rents in the neighborhood were $200 higher than what the apartment was currently charging. Once you factor that into the pro forma we found that we could afford a $600,000 rehab, and still have this considered a very good deal. The property was selling for 3.1 million dollars. The owner was highly motivated and agreed to take interest only for a year on a million dollars. Chris tried to take the deal to the same mortgage broker that had brought him the property, but they would not finance him because he did not meet their loan criteria. We had anticipated this because the rehab needed was so great and approximately 1/3 of the 90 units were empty. Chris then began spending eight hours a day for three or four days looking up hard money lenders until he finally found one willing to lend him the rest of the money (2.1 million for the property and 600,000 for renovations) at 13% interest. Just to clarify, the purchase price was 3.1 million, the seller carried back a mortgage in the amount of 1 million and then you Chris found a hard money lender who paid the rest of the amount PLUS the rehab costs at 13 % interest. After a year, the property was stable enough to get refinanced by a Fannie Mae lender out of California. It was a 30 year amortization loan with a 4.1 interest rate. The loan did not require any down payment money besides holding costs. At the time of the loan the property appraised at 3.8 millions dollars, but after a few months of full stabilization, it is currently appraised at 6.3 million dollars. This means that after closing costs and commissions, Chris could sell the property today and profit 2 million dollars. By April 2019 Chris wants to borrow against the property in order to purchase a new property. He is currently looking for properties off market in the local area. Chris found a property through a mortgage broker that had huge potential if he was able to purchase it. He did not qualify for conventional financing so he went to a hard money lender who gave Chris money to acquire the property and conduct the rehab. Over the next 12 months Chris was able to finish up the rehab, stabilize the property, and refinance the property with a Fannie Mae Loan. Once the property was completely stabilized it was worth 6.3 million dollars. So Chris bought it for 3.1 and now it’s worth 6.3 in little more than a year plus hard work If Chris were to sell today after paying the commissions and closing costs he would pocket over two million dollars in profits.